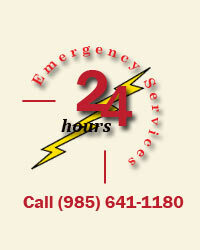 Leger Electric, LLC has been serving customers since 2002. The company was founded on the principle of providing the best service to meet our customer’s needs. We have provided superior service to our residential customers, commercial customers, property managers, and warranty companies. The owners are a dynamic husband and wife team with over 20 years of experience in the electrical field, 15 years of management experience, and over 30 years of experience in providing customer service. To exceed our customer's expectations as we provide professional, courteous service that meets all of their electrical needs. To be the first electrical contractor residents of St. Tammany Parish and South Mississippi choose to meet any and all of their electrical needs. Over the years, Leger Electric, LLC. has earned an outstanding reputation for quality, service, value and safety. 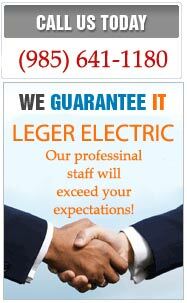 The core of Leger Electric is our highly trained employees.